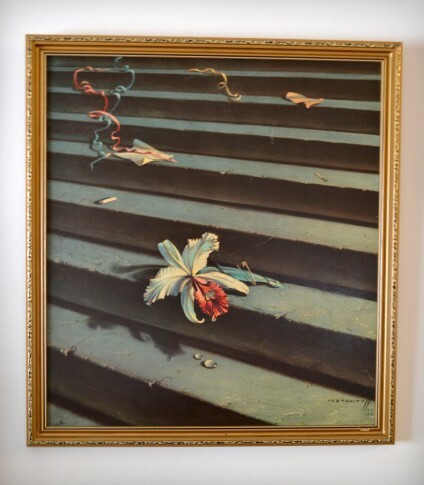 A very good example of Vladimir Tretchikoff’s Lost Orchid vintage print in the original 6cm wide gilt frame. 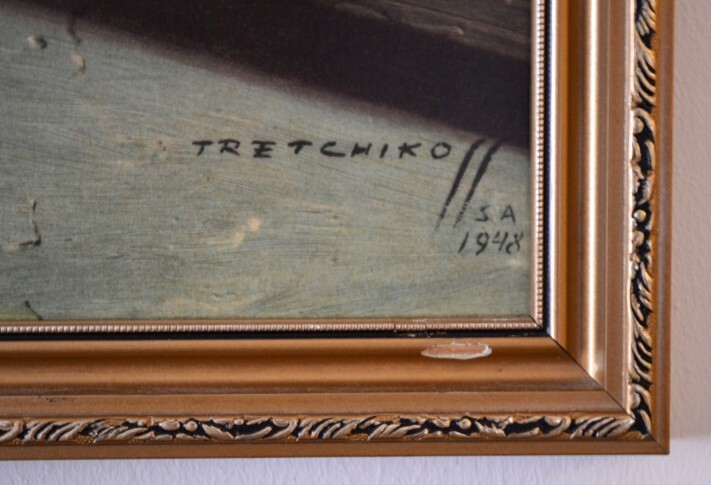 With Tretchikoff signature and date of 1948 as pictured in the lower right corner. 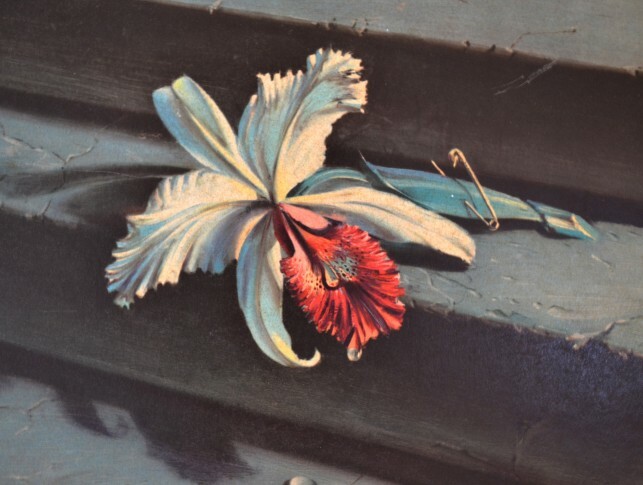 This print is of a set of stone stairs with a white Orchid sat amongst some papers and ribbons. Iconic image. Good condition but does show some signs of age (see photos).